Summer might be drawing to a close, but there's still time to enjoy great savings at Goodwill! Hurry in and stock up on clothing, household items and more during our Labor Day Sale on Monday, September 3! Our newest Goodwill Store & Donation Center is coming soon to Glenview, IL! 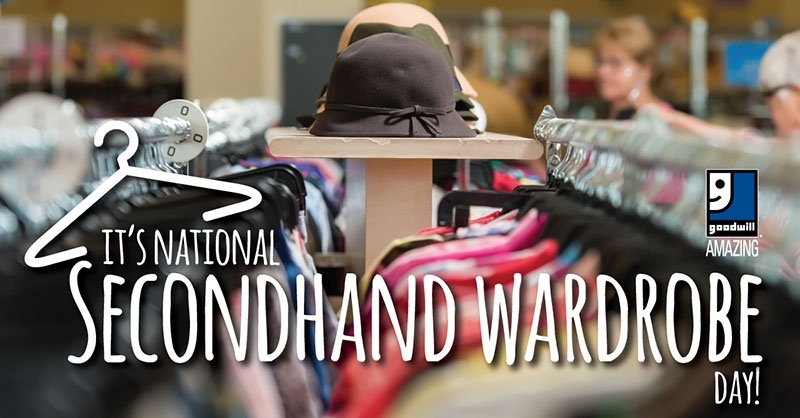 That's right, August 25th is National Secondhand Wardrobe Day! Visit our Goodwill Store & Donation Centers and celebrate earth-friendly shopping while donating some your clothing to Goodwill. And, if you find the perfect secondhand outfit, go ahead and brag about it online using the hashtag #AmazingGoodwill. 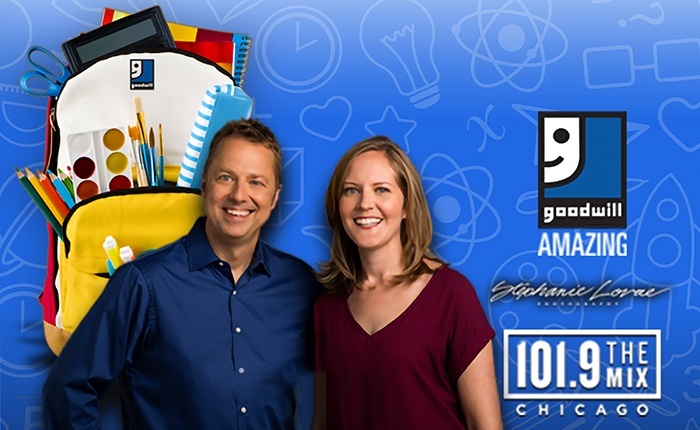 Get ready for back to school with KOZ & Jen of 101.9 The Mix on Sunday, August 26th from Noon until 2 p.m. at the Goodwill Store & Donation Center at 1551 N. Dryden Ave in Arlington Heights! Head back to school in style with Goodwill! 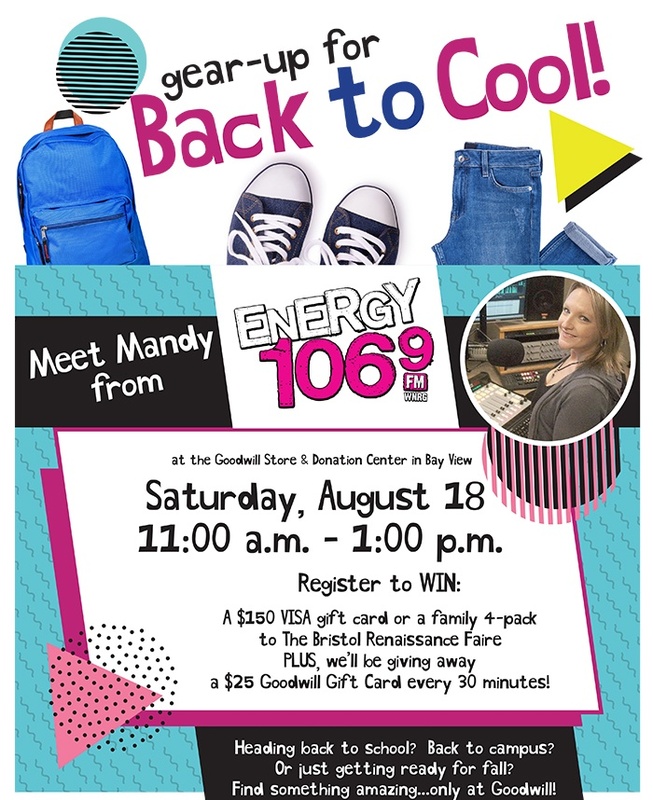 Shop the Goodwill Store & Donation Center in Bay View on Saturday, August 18 and meet Energy 106.9's Mandy Scott from 11 a.m. until 1 p.m. And, while you're there register to win a $150 VISA gift card or a family 4-pack of tickets to The Bristol Renaissance Faire. 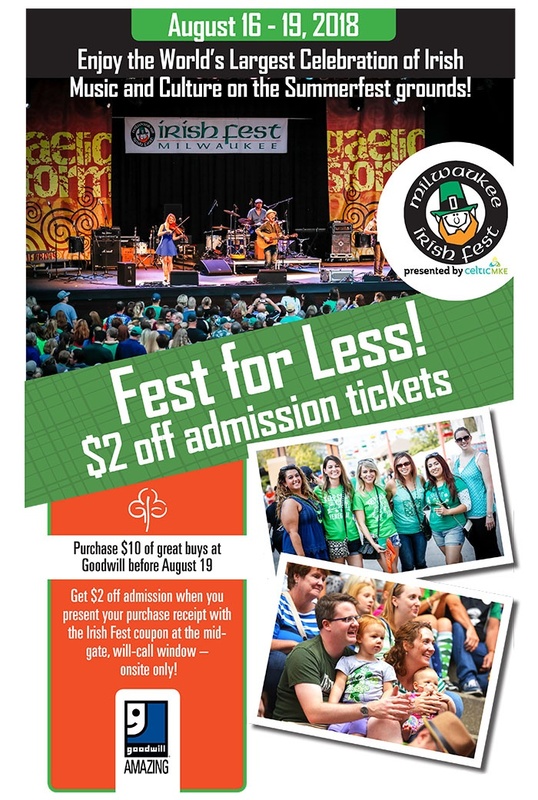 Plus, we'll be giving away a $25 Goodwill gift card every 30 minutes! We’re thrilled so many of you found footballs during our Find the Football Scavenger Hunt in July! 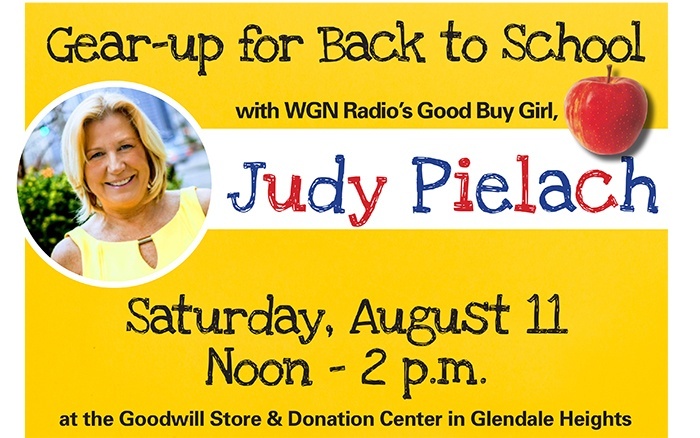 Gear-up for Back to School with WGN Radio's Good Buy Girl, Judy Pielach on Saturday August 11 from noon until 2 p.m. at the Goodwill Store & Donation Center in Glendale Heights! 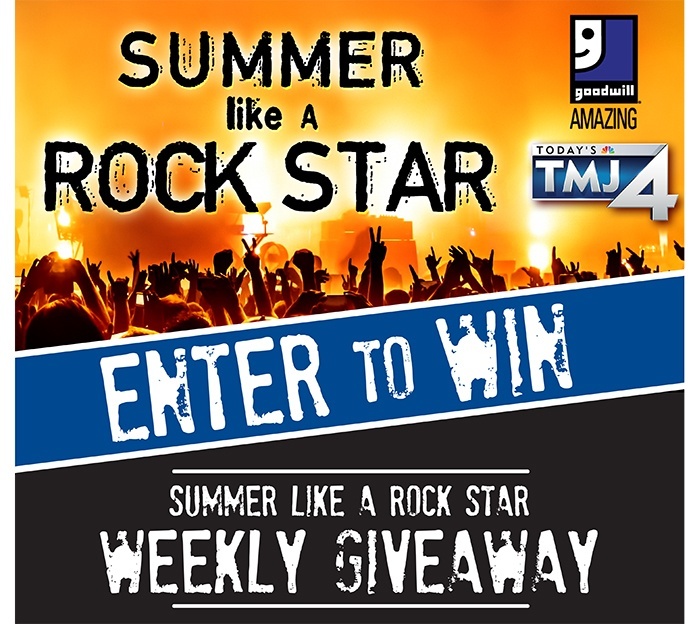 Judy will create a back-to-school study suite from merchandise found at Goodwill and one lucky customer will win the whole package! Chicago Bears Training Camp kicks off on Saturday, July 21st! Goodwill is celebrating the start of the Bears football season on July 20, at 12:30 pm, with a live in store taping of Chicago Huddle with hosts Patrick Mannelly and April Rose. Stop by and catch the show live and say hello to April and Patrick, take a photo with them or get an autograph after the show taping. Ask for a Goodwill VIP Autograph Zone Pass for Bears Training Camp on July 21st . 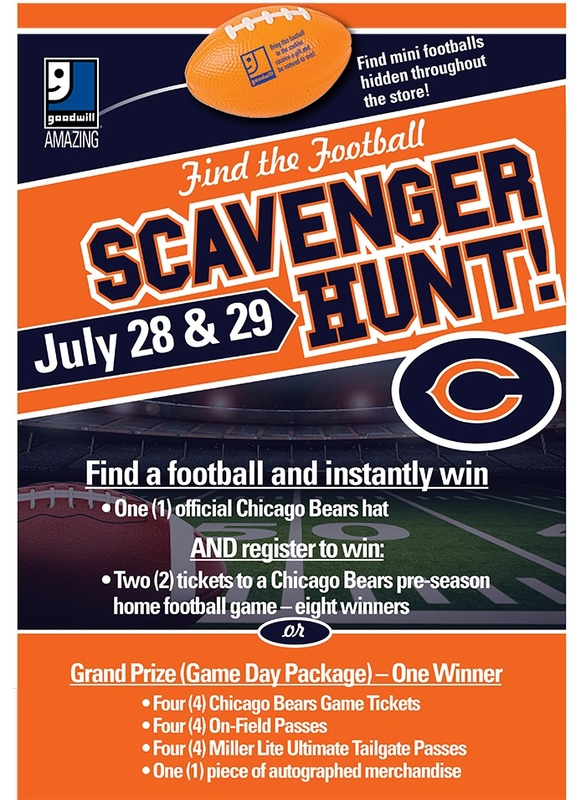 Goodwill is giving YOU the chance to get up close and personal at the Chicago Bears Training Camp! Stop by the Goodwill & Donation Center in Bourbonnais the DAY BEFORE the training camp you plan to attend and request a Goodwill VIP Autograph Zone Pass* at the register. Arrive early as supplies of Goodwill VIP Autograph Zone* passes are limited!